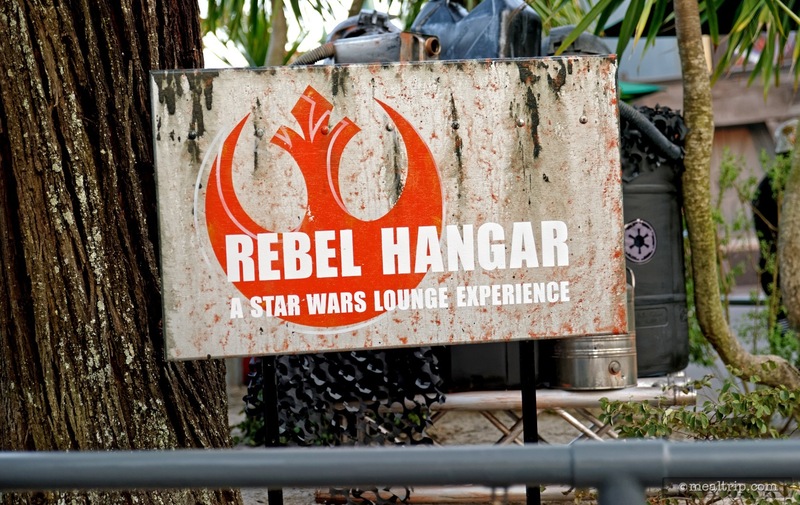 Taking place at Hollywood Studio's Backlot Express, the Rebel Hangar Lounge is a Star Wars themed overlay for that restaurant that is only taking place during and in between Star Wars Weekends at the park. 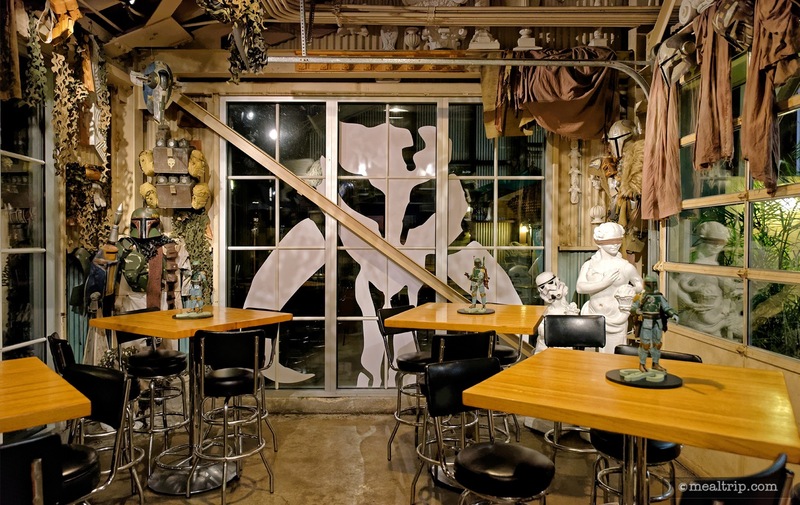 Billed as a place to find shelter and sustenance, a Rebel Hangar has been turned into a makeshift lounge and is occasionally frequented by Rebel pilots, aliens and smugglers. What that means for guests is a great new mini menu for the location which includes custom adult beverages and "small plates" style food. The special experience is also a table service event (with waiters and such) where the Backlot Express is counter service only. 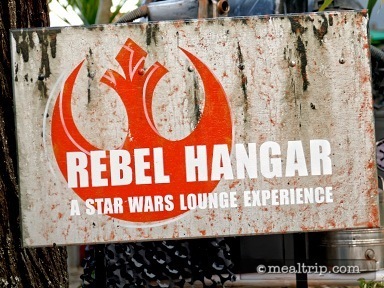 The Rebel Hangar was a new dining experience that was introduced for 2015's Star Wars Weekends at Hollywood Studios. 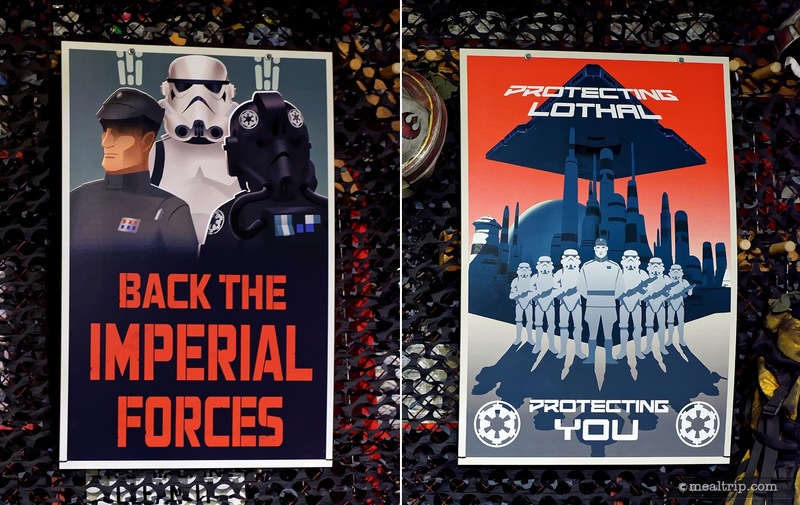 Part of what is the park's "Backlot Express" restaurant was transformed into a full-service resturaunt with Star Wars props and environment details. 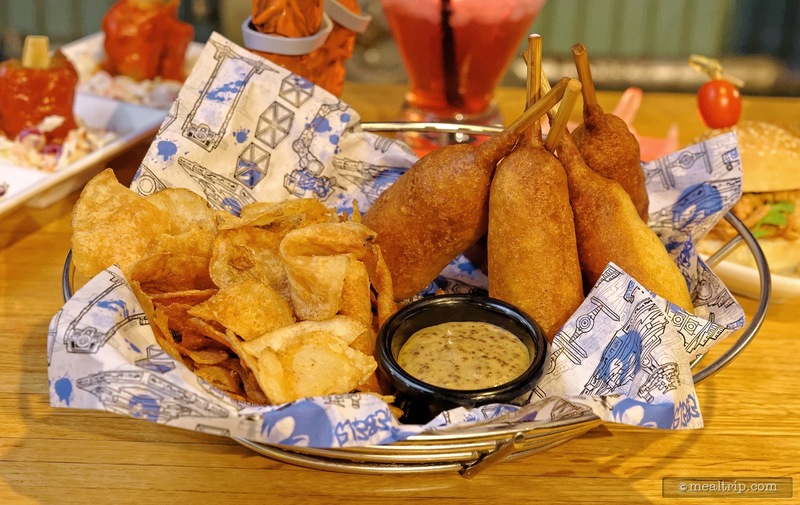 While this may not sound like it would be the most convincing or exciting new location to dine… Disney actually does these "overlays" better than anybody out there. The Rebel Hangar was no exception. I say "was" because we're not really sure if the experience will be offered again next year or not. Based on how quickly the reservations were snapped up, I would certainly hope it would be considered a success, and be deemed worthy of repeating. The environment at Backlot Express is very prop house-like, with bits of production elements hanging on the walls and ceilings. This was enhanced with Star Wars specific elements that were far more detailed that what I was expecting. 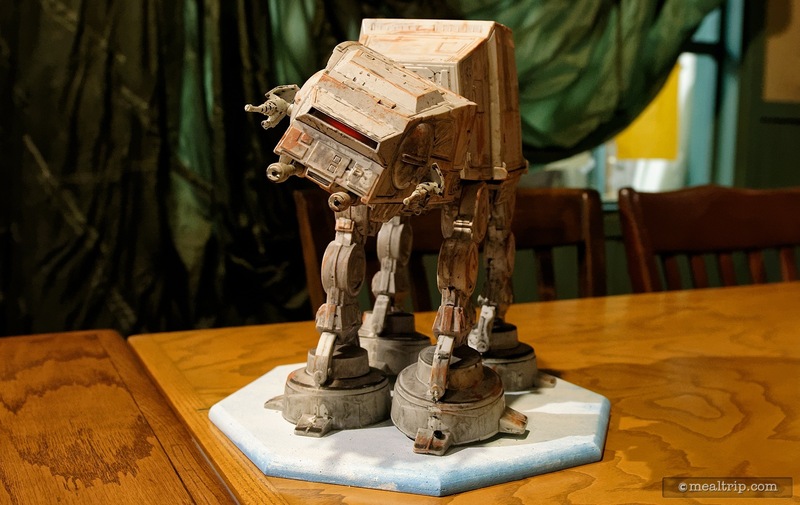 Especially cool were the tabletop models that were attached to each of the indoor tables. Some tables had extremely detailed ship models while others had fully articulating character models, with arms, wrists, knee joints and heads that were movable. The environment overlay wasn't limited to the table tops though. It was hard to look anywhere inside the location, and not see a Star Wars prop. 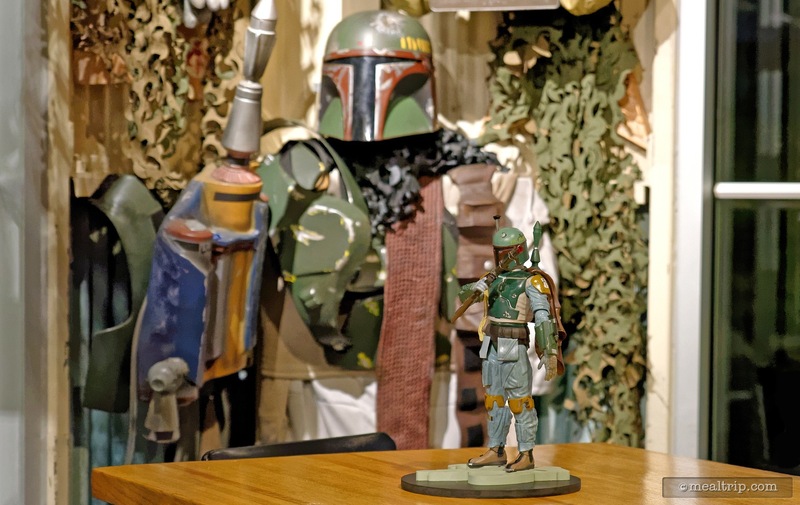 From bits of material and patterned cloth, to posters, helmets, Rebel shipping containers, window decals, jumpsuits and even tie-fighter wings hanging on the wall, it was a convincing transformation of the space. Heck, even the portable wet-bar had distressed Star Wars paneling surrounding it. While it wasn't officially part of the event, every now and again, a Star Wars character would stop by. I got to spend a few moments with Chewbacca and a Jawa! While I don't want to fully step onto a soap box in the middle of my review… it's moments like that, which remind me of the old Disney. Where there were pluses and surprises here and there, that make the whole experience fun. The staff, was great. Most were hand picked for this special dining experience from other resturaunts at Hollywood Studios, so you were getting the best of the best from other locations. An experienced staff that feels comfortable switching locations like that, makes a huge difference in how smoothly the whole operation runs. And from what I could tell, everything was going very smoothly. 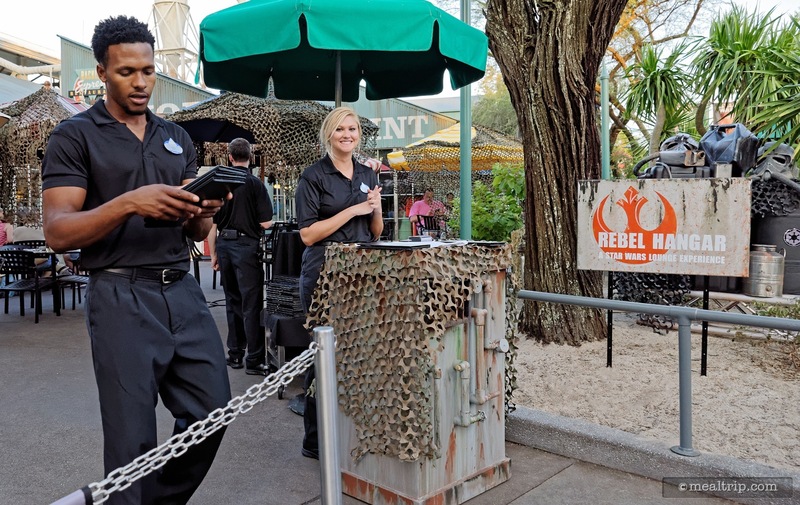 From a value standpoint, the prices for the food and "adult" beverages were not out of line with what you would expect at any other counter service location at Disney. It didn't seem as though there were any premium experience charges being added anywhere. Most importantly for me, was that the food was actually quite good as well. Now, the menu and the entrees were maybe not as developed as they would be at a full time resturaunt, but with only being open for five weeks… there really isn't any time to do anything with customer feedback, or to see which items were selling better than others. If this is offered as a dining experience next year, I'll bet there will be a few tweaks here and there. 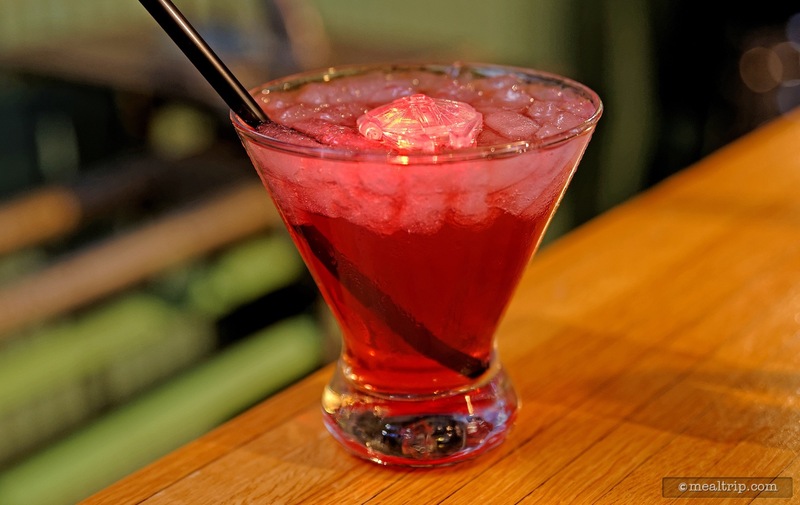 My "Rebel Red" cocktail was well mixed, and a little Vodka light, (truth be told)… but here again, it's getting harder and harder to find a truely punchy cocktail on property these days, so it was a successful Disney cocktail. As far as entrees, I got to try the Lightsaber Bites which were served hot and freshly dipped and fried. A proper Knockwurst Sausage was inside each Lightsaber, the house made chips were fresh, and the Honey-Mustard Dipping Sauces was just about right for the dish. The Slider Sampler was (surprisingly) my least favorite of the items. An issue for me with sliders is when the bread becomes too dominant in the mix, and that was the case here. It's really easy for small sliders to become dry and one-note tasting after the first bite... and that was the case with these. 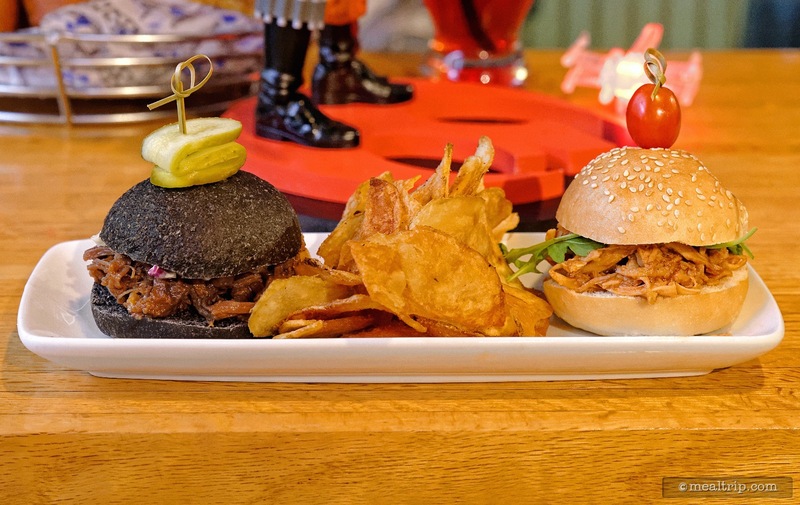 Our friends over at the Brown Derby Lounge have a couple of sliders done right, and so I hope the folks at the Rebel Hangar will stop by for lunch one day, and tweak these sliders accordingly. I liked the look and concept, there just needs to be more stuff in there, that won't get sopped up by the bread. My favorite entree of the three, was the Trio of Thermal Detonators. 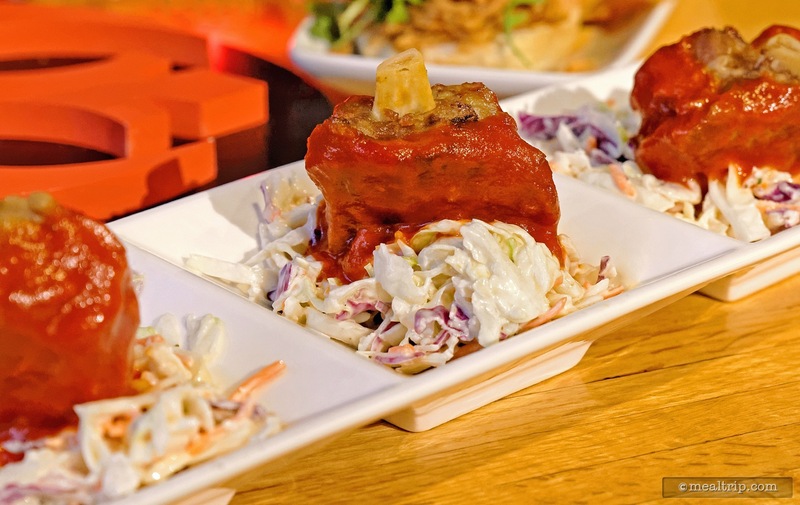 Billed as Pork Wings with a Spicy Pepper Sauce and Coleslaw, they were actually little clumps of pork perfection. 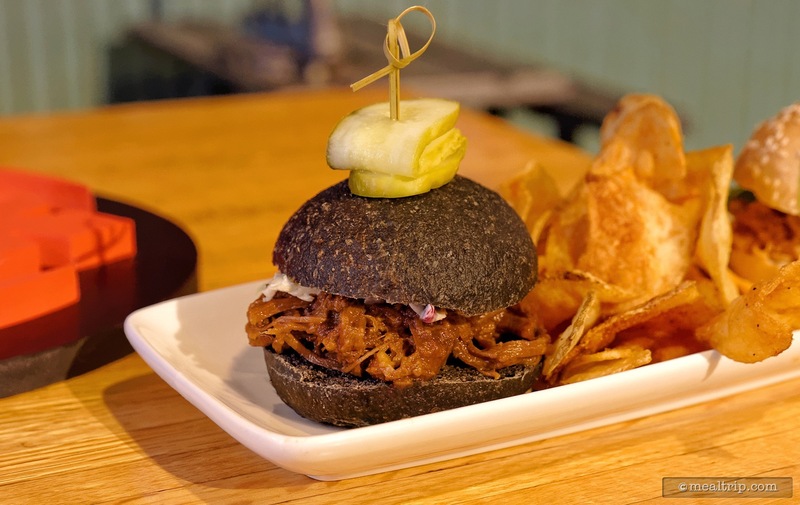 There seems to be something about pork that Disney is doing just right at the moment (it always used to be a bit overcooked in the not so distant past), there's literally nothing about this dish that I would change. 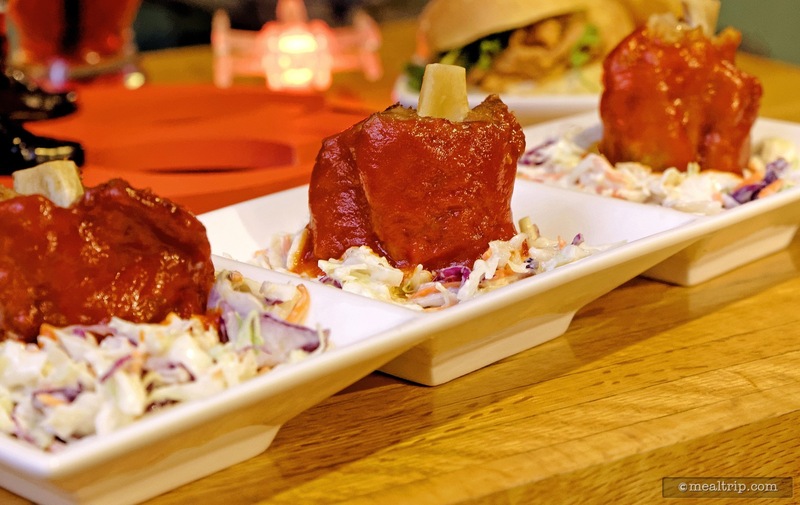 True spice lovers would probably find the dish to be more on the "mild" side and not truly a Piquillo Pepper Sauce, but that's to be expected at a high-volume eatery. They tend to play it safe. The coleslaw served under each "wing" was a great cool component to the medium-hot pork, and the dish itself was a lot more filling than what it appears to be. There was a lot of pork on those "wings". All in all, the items that were presented as small plates, were what I would consider to be entree sized. I understand where they were going with the concept. Most of the items, were very shareable. 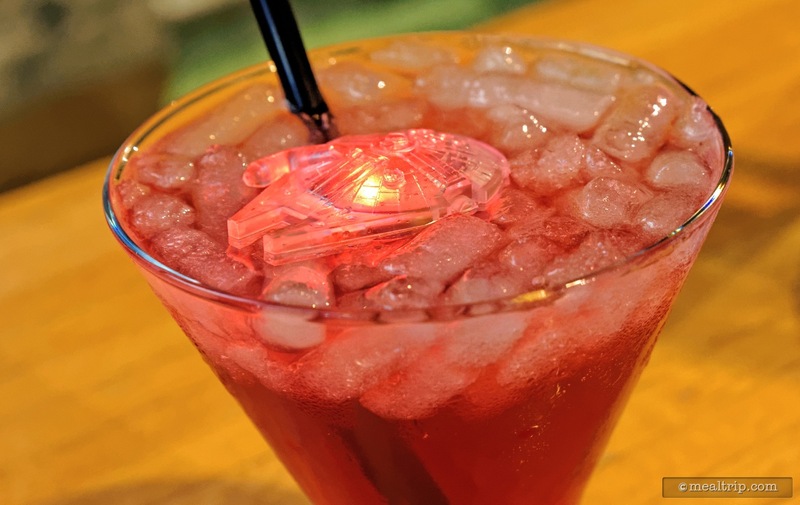 Each member of your dining party could order something different, and there was enough there to share and trade so that everyone in your party could have an opportunity to taste their way around the Star Wars universe. I'm not sure I would share my Pork Wings though… they were just that good. 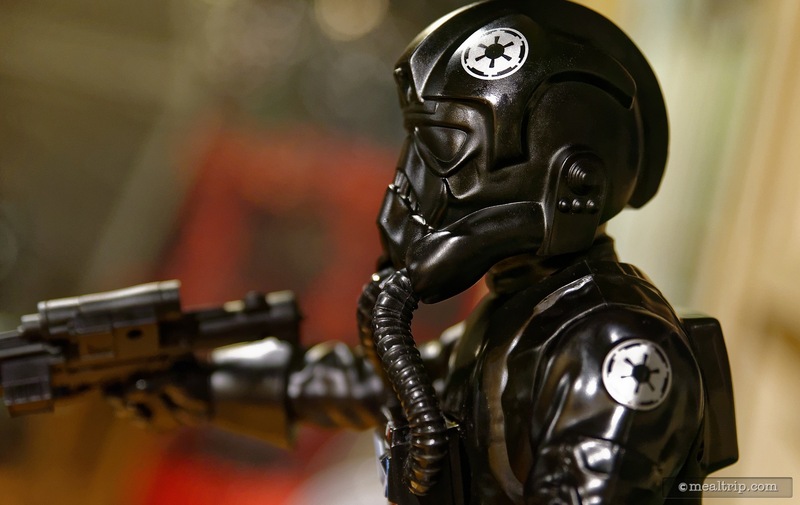 I would definitely return to the Rebel Hangar should it be offered again next year. I didn't make any grand culinary discoveries here, but I wasn't really expecting to. 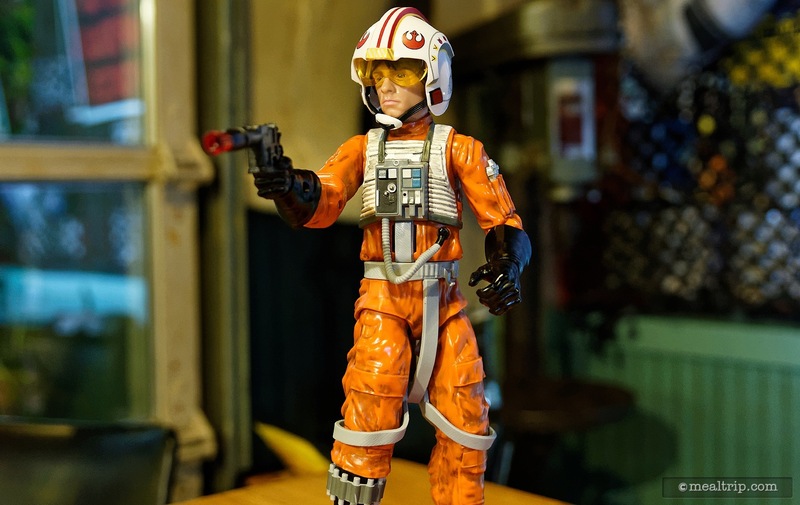 The special dining experience was presented and priced to feature really good lounge food and a Star Wars theme, and that's exactly what I found in the Rebel Hangar. It was just plain fun as well… all without costing more than any other basic-level table service location. Another solid recommendation, if it returns to next year's Star Wars Weekend's lineup. CLICK HERE to view all 33 images in our photo gallery.